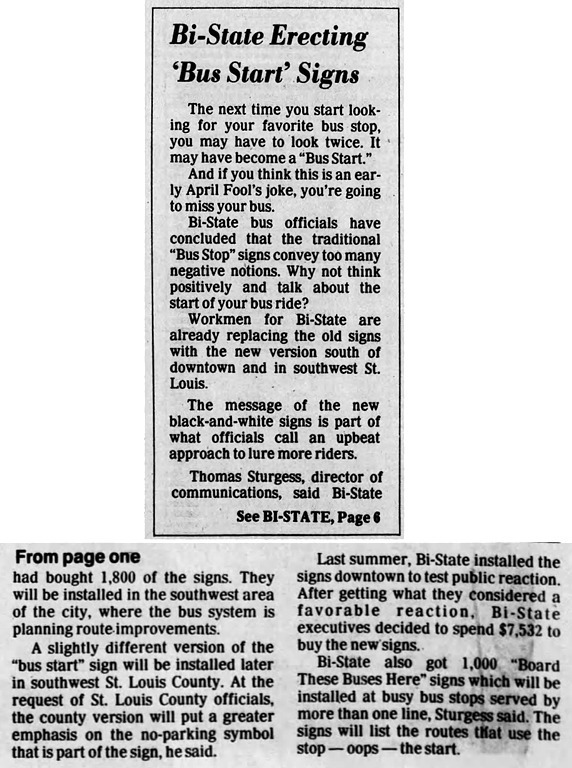 Back in 1985, city officials in St. Louis decided that the term 'bus stop' sounded too negative, so they voted to rename them 'bus starts.' 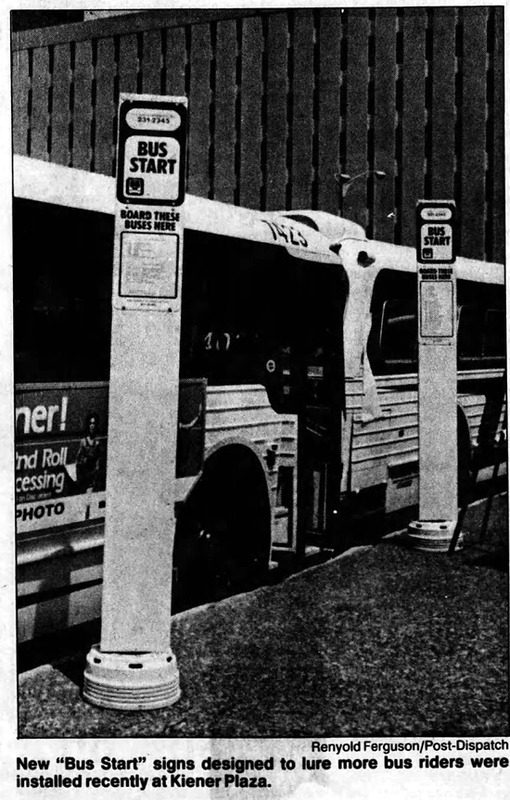 1800 new 'bus start' signs were duly installed. 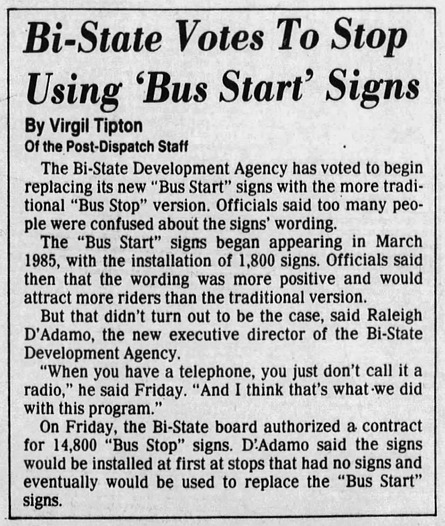 A year-and-a-half later, when it became clear that people were confused by what a 'bus start' was supposed to be, the city conceded defeat and went back to using the traditional term. This, of course, meant buying even more new signs. 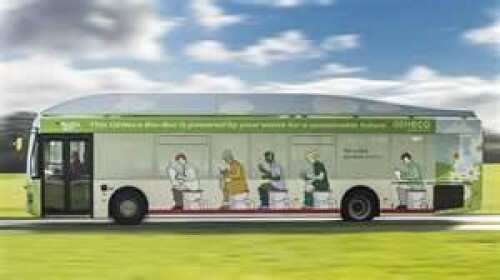 "Bus Tilter" is my new desired job. Our service is a dead artifact sealed off from all human contact. 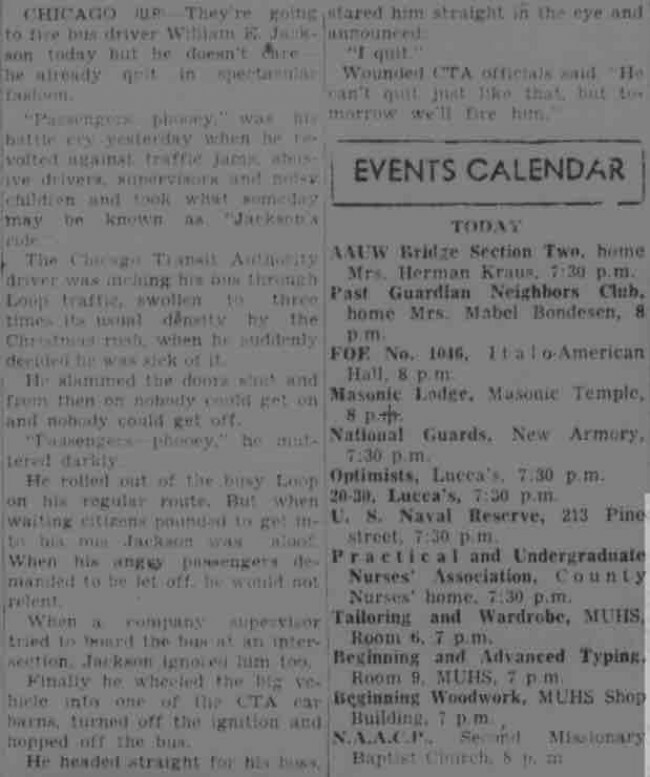 1961: A 14-year-old boy commandeered a Trailways bus and drove it fifteen blocks because he "had an urge to conquer something big" and wanted to drive it "somewhere." Compare this to Bronx bus driver William Cimillo who, in 1947, instead of following his daily route drove the bus to Florida because he was overcome by "that old spring-time urge." 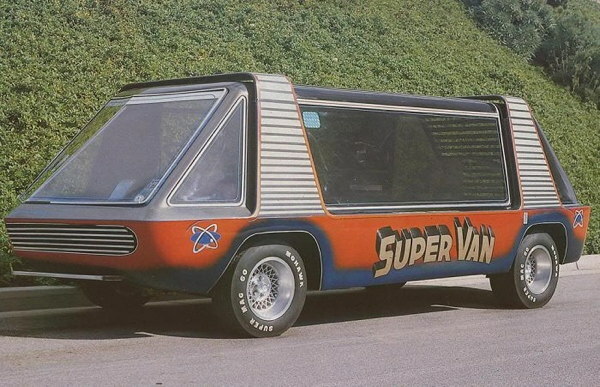 There must be a name for the psychiatric condition of being overcome by a desire to drive a bus to somewhere far away. 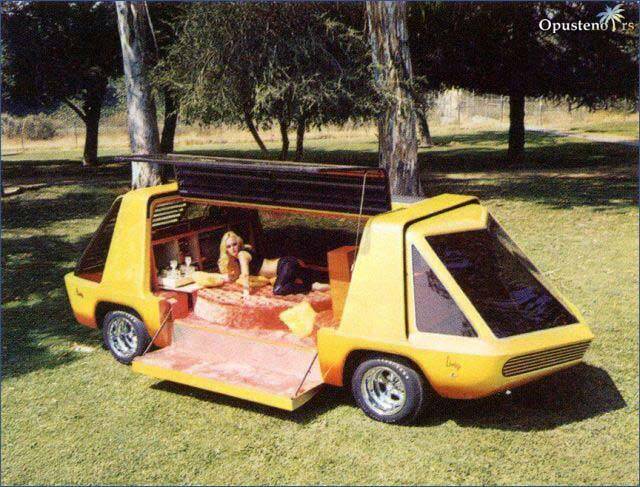 Created in the late 1960s by Hollywood auto customizer George Barris, who's best known as the designer of the original Batmobile. 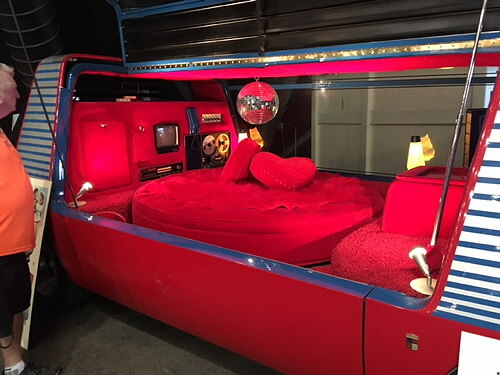 The Love Machine featured velvet upholstery, a revolving circular bed, psychedelic lights, entertainment console, mirrored ceiling, and a crystal chandelier. 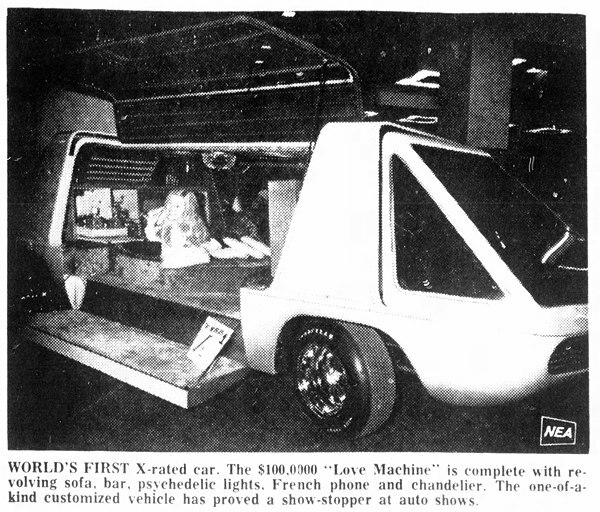 It did the rounds at auto shows until the mid-1970s, where it was promoted as the "world's first x-rated car." 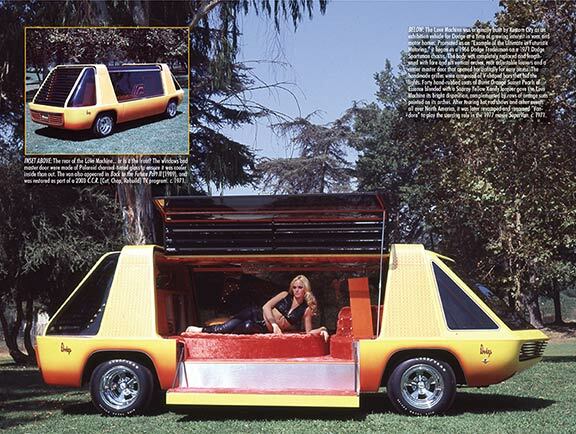 You can check out more of Barris's creations in the recent book King of the Kustomizers: The Art of George Barris. Today of course he would face federal charges for kidnapping, and many, many lawsuits. 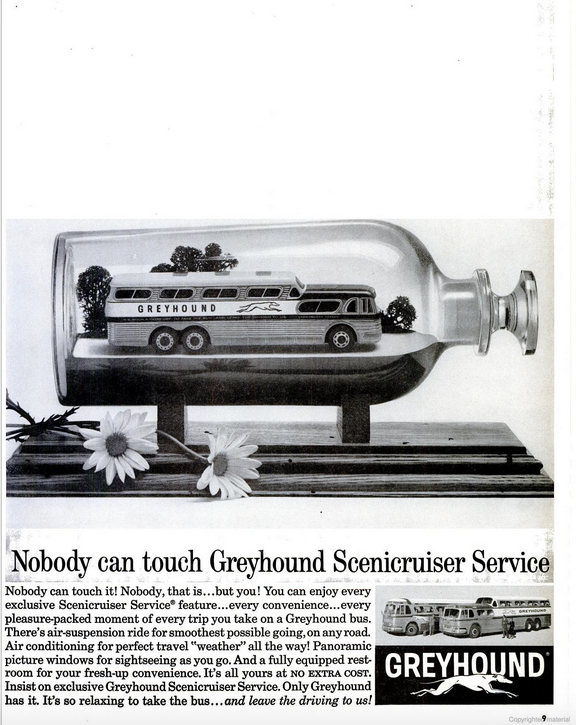 “They’re going to fire bus driver William F. Jackson today but he doesn’t care—he already quit in spectacular fashion. The Chicago Transit Authority driver was inching his bus through Loop traffic, swollen to three times its usual density by the Christmas rush, when he suddenly decided he was sick of it. He slammed the doors shut and from then on nobody could get off. He rolled out of the busy Loop on his regular route. But when waiting citizens pounded to get into his bus Jackson was aloof. When his angry passengers demanded to be let off he would not relent. When a company supervisor tried to board the bus at an intersection Jackson ignored him too. Finally he wheeled the big vehicle into one of the CTA barns, turned off the ignition, and hopped off the bus. There are few films that can surpass or even equal the mediocrity of Special Delivery, a horrendously cumbersome safety film for schoolbus operators that fails to captivate. Instead of simply attempting to discuss the fundamentals of schoolbus safety and procedure in a concise, forthright manner, the film's creators place the necessary educational elements within a dry, unengaging story involving Mickey Miller, a recalcitrant little boy who has developed a strong distrust of the local schoolbus and its driver, Bill Marshall. It appears that Mickey has been reading far too many James Fenimore Cooper novels, as he wears a feathered headdress and continually shoots toy arrows at the schoolbus, a vehicle that he refers to as the "white man's stagecoach." Mickey is miffed when he isn't allowed to board the bus because of his age, but shortly after he reaches "age more than five," he and his older sister Millie are taken on a special bus ride by Bill in an effort to gain the young boy's respect. After a mishmash of schoolbus operation information is conveyed during the trip, Mickey alters his attitude and begins to take well to Bill. At the end of the film, however, Bill humiliates a diminutive boy who isn't allowed to ride the bus by calling him "Shorty" right in front of all of the other children. If Bill is striving to establish a rapport with his future passengers, he certainly isn't doing a good job. This lengthy production is quite a chore to watch. It should be a crime to wear garish horn-rimmed glasses like the ones Millie sports throughout the film.